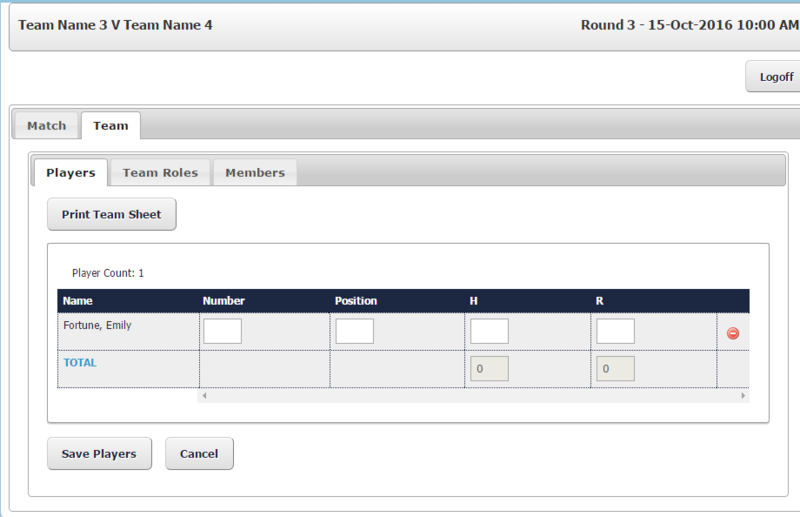 Team Administrators have the capability to not only enter the results for fixtures on the Sports Portal, but also to add player statistics for the match based upon the options that have been set up by the Competition Administrator. 5. Select Team, then Players. 6. Work down the list of players and enter their number, position and statistics. Entering Player Statistics into Sports helps Team Administrators track the performance of players across a season so that they can see the way that different players have performed across the season.